"Arrival of the Bride in Vienna"
A dispatch from Vienna says: About 100,000 strangers have arrived here to be present on the occasion of the marriage of Prince Rudolph  and Princess Stephanie . There was a gala procession yesterday from the railway station at Salzburg to the palace on the occasion of the arrival of the Queen of the Belgians  and her daughter, Princess Stephanie. The town was elaborately decorated with flags and triumphal arches. At six o'clock last evening, a state dinner was given at the palace. Afterward there was a reception of deputations bearing wedding gifts. The town was brilliantly illuminated. There was a torch-light procession of students, who formed before the palace, making with the torches the outline of the monogram of Rudolph and Stephanie. Beacons were lighted on the neighboring hills, and there was a grand display of fireworks. The royal party drove through the town to witness the illumination. Prince Rudolph returned to Vienna at eleven o'clock last night. Salzburg, May 6: The royal party drove to the railway station through dense and enthusiastic crowds of people. The train departed amid the strains of the Belgian national anthem and the cheers of the people. The party arrived at Vienna this afternoon. Vienna, May 6: Thousands of people are in the streets going to Schönbrunn , where the Queen of the Belgians and Princess Stephanie arrived at four o'clock. The weather is fine. Prince Rudolph, on his arrival here today, was cordially received by a deputation of eighteen of his former tutors. The arrival at Schönbrunn of the train bearing the Queen of the Belgians and Princess Stephanie was awaited by the Emperor Francis Joseph , Prince Rudolph (wearing the Belgian orders of knighthood), the Stadtholder of Vienna, and the President of the Police. The train, the engine of which was wreathed with flowers, entered the railway station, which was richly decorated, at a few minutes after four o'clock, to the strains of the Belgian national anthem. Prince Rudolph affectionately embraced Princess Stephanie and presented her to the Emperor, who kissed her on the forehead. When the greetings of the royal party were concluded the Burgomaster presented Princess Stephanie with a bouquet of white roses and hawthorn. The party then entered carriages, being received with the deafening cheers of the populace when they appeared at the door of the station. The first carriage contained the Emperor and the King of the Belgians ; the second the Queen of the Belgians, Princess Stephanie, and Prince Rudolph; and the third the Princess Clementine  and her governess. The carriages proceeded slowly down the street on which the station is situated to the Festplatz, where representatives of six suburbs of Vienna presented homage to the royal party; then through Schönbrunn Street to the castle. The route of the procession was lined with troops, and the crowd of people, numbering thousands, greeted the party, especially Princess Stephanie, with the loudest and heartiest acclamations. The party on their arrival were affectionately welcomed by the Empress  in the great gallery of the castle. The Burgomaster will tomorrow pay a visit to the King of the Belgians and present him with a gold medal struck in commemoration of the marriage . 1. Crown Prince Rudolph of Austria (1858-1889) was the eldest son of Emperor Franz Joseph I and Empress Elisabeth of Austria-Hungary. 2. Princess Stéphanie of Belgium (1864-1945) was the second daughter of King Leopold II and Queen Marie Henriette of Belgium. 3. Queen Marie Henriette of Belgium (1836-1902), mother of the bride, was born an Austrian archduchess. She was a cousin of the groom's father, the Austro-Hungarian emperor. Stéphanie's parents had an unhappy marriage; a decade and a half later, they separated. 4. Schönbrunn was the Habsburg family's summer palace in Vienna. Today, the Baroque palace is the most popular tourist attraction in Vienna. 5. Emperor Franz Joseph I of Austria (1830-1916), father of the groom, was Austria-Hungary's longest-reigning emperor. 6. 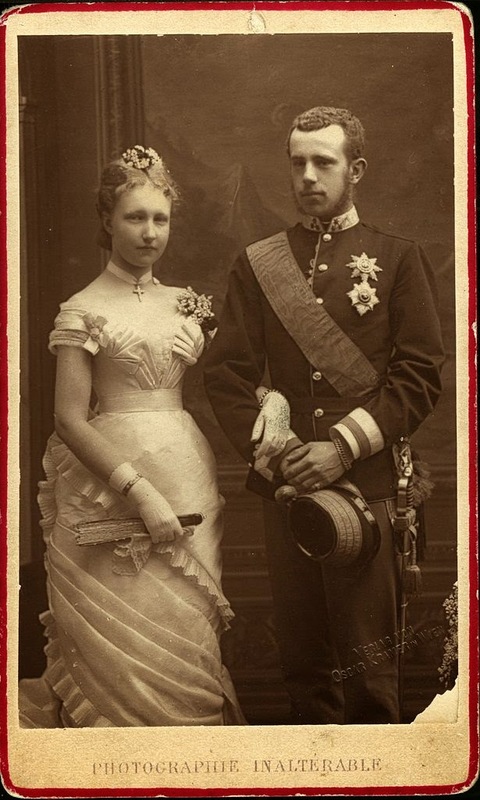 King Leopold II of Belgium (1835-1909), father of the bride, was Belgium's second king. He was a first cousin to both Queen Victoria and Prince Albert of the United Kingdom. He is the longest-reigning king in Belgian history, but his tenure is remembered most for the atrocities committed in the Congo under his administration. 7. Princess Clémentine of Belgium (1872-1955), the younger sister of the bride and the youngest child of King Leopold II and Queen Marie Henriette. She later married Victor, Prince Napoléon, the French imperial pretender. 8. 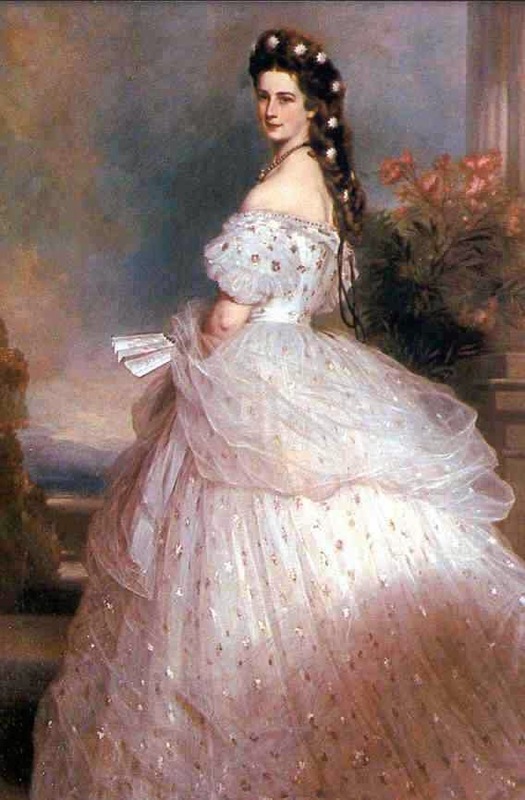 Empress Elisabeth of Austria (1837-1898), mother of the groom, was born a Bavarian princess and is better known to us as "Sisi." 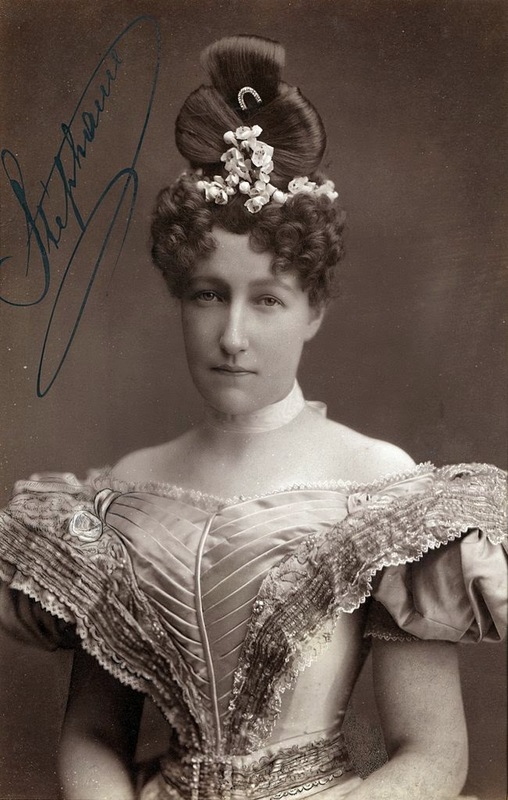 She became a famous trendsetter in nineteenth-century Europe, and has been immortalized in a series of films. However, her marriage was unhappy, and she was eventually murdered in Switzerland. 9. This royal marriage was ... not a success, to put it mildly. 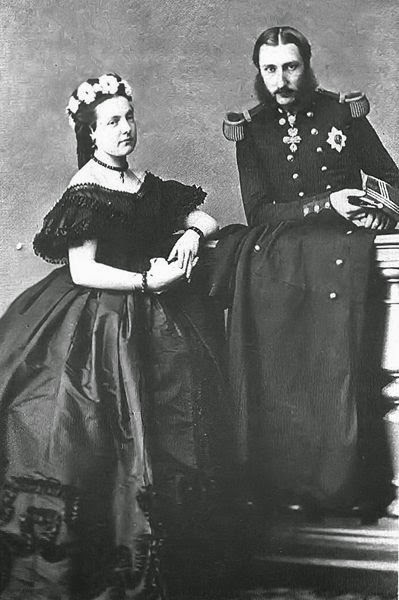 Rudolph and Stéphanie had a daughter, Archduchess Elisabeth Marie of Austria, but they were wildly incompatible. 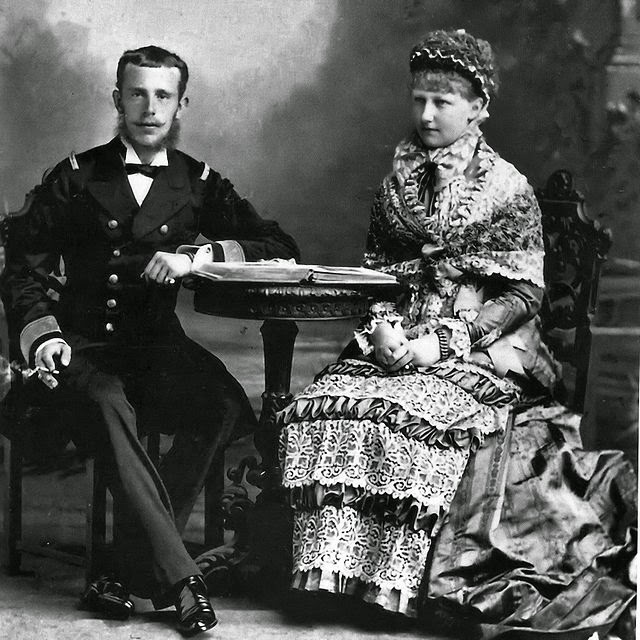 Both were unfaithful, but it was Rudolph's affair with 17-year-old Baroness Mary Vetsera, and their 1889 murder-suicide at his hunting lodge, Mayerling, that had the biggest impact on history. The new heir to the Austro-Hungarian throne was Archduke Franz Ferdinand -- whose murder in 1914 would become the catalyst for the beginning of World War I. After Rudolph's death, Stéphanie married a Hungarian count, wrote her memoirs, and, intriguingly, invented and patented a new kind of chafing dish.